Elite Infoway is a born by the desire to create beautiful and immersive digital experiences for brands and businesses of all sizes. Small by design, Elite infoway can quickly scale up depending on the size and needs of your project. In short, with an eclectic blend of passions and personalities, we’re individuals who work creatively together. Today, people access internet more on mobile than on PC. And 3 out 5 mobile users exit immediately from a 'non-responsive' (or no-mobile friendly) website. 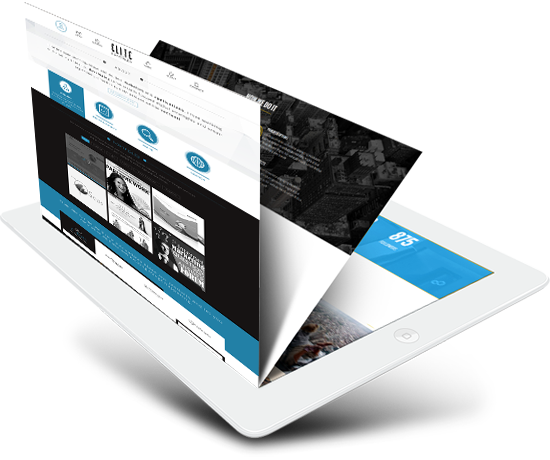 We can optimize your website in the way that dazzle your visitors on any devices -mobile, tablet, laptop or any modern devices. We are passionate about what we do and have the skills to deliver on time, every time, giving you piece of mind and a great looking website that works the way you want it to. Developing a successful advertising/marketing strategy takes sound experience. From key discussions to outlining vital choices, we provide insights for improved decision-making on all aspects of the creative process. We help define your business on all levels, from core identity to online and offline positioning; we make sure your message is expressed to key audiences in an attractive, efficient and resourceful manner. We are a dynamic team of creators, thinkers, innovators, optimistic believers and collaborators. Our specialities includes - Web design, e-commerce, SEO, UI & UX design, responsive design, Graphic designs, Infographics, Software Development, branding and rich media campaigns. Our focus on creativity and innovation help us to shape these experiences with our valuable clients and define the stories which connect us all.